Read here to learn about the difference between probable cause and reasonable suspicion in Oklahoma. Both probable cause and reasonable suspicion pertain to standards of evidence needed to justify the making of an arrest by an officer of the law, the grant of a search warrant to an officer of the law and the right an officer of the law has to detain and search your person and/or property. So what’s the difference? Reasonable suspicion is the legal standard of evidence required to justify an officer of the law detaining and frisking a person. The police may detain you so long as there is reasonable suspicion that you have committed a crime or that you are a threat to do so. The officer may then frisk you if he or she reasonably believes you to be a threat to his safety. Reasonable suspicion is commonly thought of as that which a reasonable officer would suspect to be true concerning the probability that a person has or is about to perform a criminal act. For example, if a person is seen in possession of items that are commonly known to be used in association with committing a crime, or when a person matches the the description given of a person suspected of having committed a crime. Reasonable suspicion does not arise, however, as a result of a person exercising his or her constitutional right not to consent to a search of his person or property, or as result of a person exercising his or her constitutional right to remain silent when questioned by officers of the law. Nor does it arise as result of a person’s racial or ethnic make up. Probable cause is the legal standard for an officer of the law having grounds to make an arrest, to levy criminal charges against a person and/or to obtain a search warrant. In accordance with the Fourth Amendment to the Constitution, a search of an individual’s person or property requires a search warrant and must be predicated on probable cause. Probable cause, however, will not lie unless the facts supporting the warrant are sworn to by the officer to be true to the best of his or her knowledge. As a standard of evidence, probable cause ranks higher than reasonable suspicion but is weaker than the burden of proof needed to secure an actual conviction on criminal charges. As an exception to the need to obtain a search warrant or the need to justify levying criminal charges against a person, an arrest can be made on the basis of probable cause but will generally not require a warrant to be obtained in advance, if it takes place in public. Thus, for example, an officer may perform a warrantless search of an automobile, boat or other vehicle if there is probable cause to believe that it is being used to commit a crime or carrying contraband. Even a minor misdemeanor charge or traffic citation can have great financial and sociological consequences unforeseen to layman. In fact, some convictions (even some misdemeanors) which are unrelated to driving, can cause your drivers’ license to be suspended. That is what makes proper legal representation so critical. You need to know what you can do to protect your legal rights. The criminal defense lawyers at Jury Pro can evaluate your specific situation to determine what defenses and approaches are best suited to resolve your case. 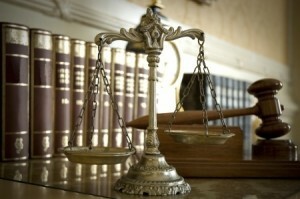 Call (888) Jury-Pro or (888) 587-9776 to speak to an attorney about your case. How Does A Criminal Case Differ From A Civil Case In Oklahoma? Can I Appeal The Verdict If I Am Found Guilty In Oklahoma? In Oklahoma, Is It Better To Stay In Jail And Await Trial?